Wrigley rocks, flights get fun and it doesn’t stink that Chicago is on Amazon’s list. Get your popcorn ready for my favorites of the week. 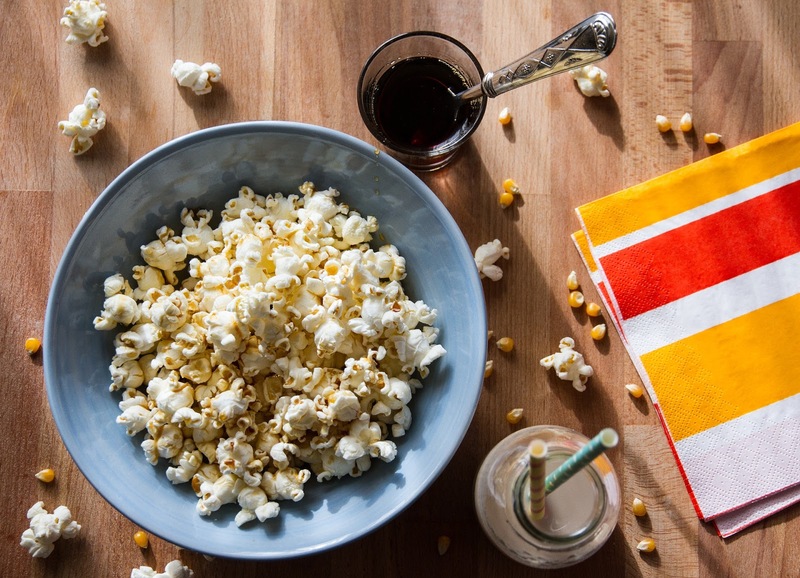 we can all celebrate on #NationalPopcornDay. These days it goes far beyond traditional buttered. With shops nationwide serving dozens of flavors like Northwest Raspberry, Wasabi Ginger and Mole, even the most discerning hipster will be satisfied. I say stick with the classic cheese/caramel combo and call it a day. Don’t Stop Believing: Wrigley Field continues to cement itself as a top destination for summer concerts, with each year bringing an increasing amount and wider variety of top acts. It was just announced that Def Leppard and Journey are joining forces for a major show, which is a good time to revisit the cool story of Journey’s replacement lead singer. The current lineup also includes Fall Out Boy and Foo Fighters. Your Team “Stinks”: Old Spice’s advertising and marketing is usually a slam dunk in terms of making people do a double-take. The company’s new “Sweat Mop Boys” are no exception, as they use mops that look like sticks of Pure Sport Plus deodorant to clean college basketball courts midgame. They are currently keeping things dry and fresh in the Pac-12. It remains to be seen how long this funky campaign will last and if it will expand. ORD to LGA: Start spreading the news, because American Airlines is launching a shuttle service between O’Hare and New York’s LaGuardia Airport in April. The service will offer 15 flights per weekday on the half-hour, plus dedicated gates and expedited check-in so you can be king of the hill, top of the heap in no time. Plus, the flights include free wine and beer, so grab your vagabond shoes and head to the city that doesn’t sleep this spring.